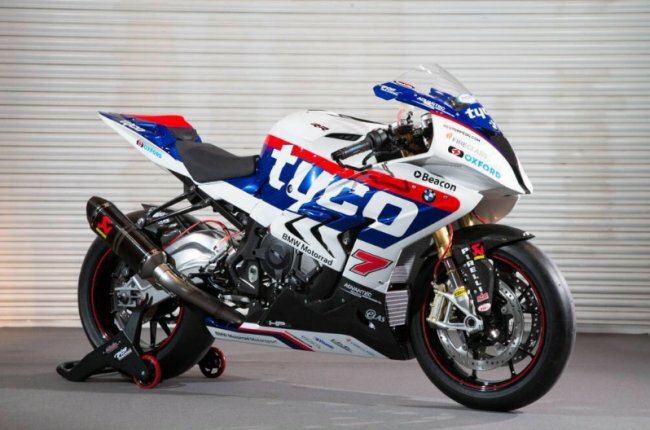 TAS Racing along with title partner Tyco Security Products will join forces with BMW Motorrad for the 2015 season, becoming the German manufacturer’s official representatives in both British championship and also on the International Road Racing scene. The team will run under the title – Tyco BMW. The rider line-up for 2015 will consist of a two-pronged attack in the British Superbike Championship, with Northern Irishman Michael Laverty returning from MotoGP to partner Englishman and current BSB number 3 Tommy Bridewell. Double British champion and 12-time International North West 200 winner Alastair Seeley will campaign a Tyco BMW S 1000 RR in the Pirelli National Superstock class during 2015. The diminutive Ulsterman will also ride a full stable of Tyco BMW machinery at the North West 200 next May. “I’m delighted to be back in the TAS Racing fold for 2015; this time with a new manufacturer in BMW Motorrad behind us. It’s a very exciting time for both myself and the team: we are both new to the BMW S 1000 RR but it is a bike built for the race track and I believe we have all the ingredients required to deliver the BSB title. Guy Martin and William Dunlop have been retained and will spearhead Tyco BMW’s assault at the ‘big three’ international road racing events: North West 200, Isle of Man TT and Ulster Grand Prix, as well as selected national races. “Moving to BMW Motorrad machinery is the reason I’m still racing next year and not retiring. I’ll always give it my all and to be with a quality manufacturer like BMW is mega. “It really is a great honour for TAS Racing to be chosen by BMW Motorrad to spearhead their official racing efforts in 2015, and everyone involved has been very supportive in helping us put the correct package together. “In 2014, BMW Motorrad had its most successful season of racing ever in the UK, which has enabled us to increase our support to both the British Superbike and Road Racing paddocks for 2015. The TAS Racing team will spearhead our assault on track, and on the roads, and will receive the full technical support from BMW Motorrad Motorsports in Munich within the framework of the BMW Customer Racing Strategy.